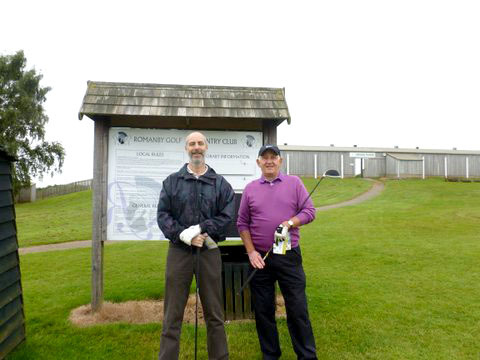 The fourth Annual Village Golf Championship took place on Saturday 28th June at Romanby Golf Club. 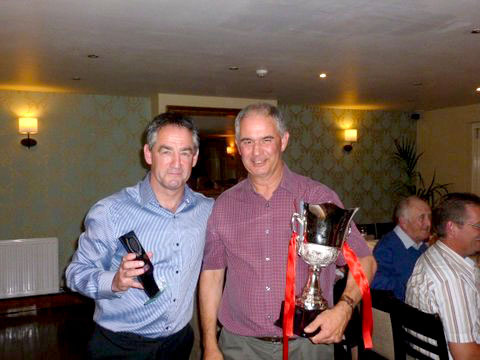 The game was followed by a gathering of players, wives, partners and friends at The Dog & Gun back in the village for a meal and the prize giving. An excellent evening was had by all. Thanks must go to Tom and Trudy for their hospitality and to Dan Richardson who spent many hours over the previous 12 months organizing the whole event, not a straight forward task. Well done sir. 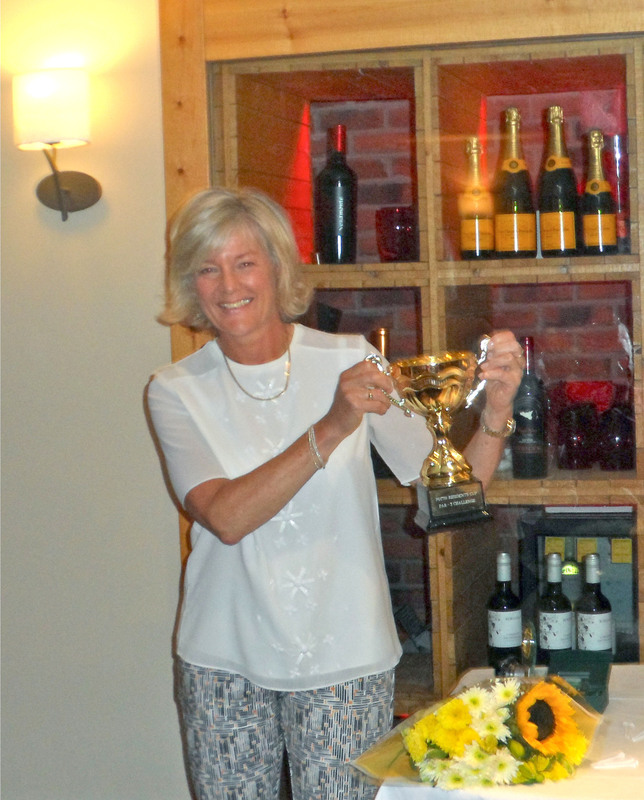 The competition itself was played under the Stableford points system, in the relaxed enjoyable spirit expected of the ladies and gentlemen of Potto along with guests. 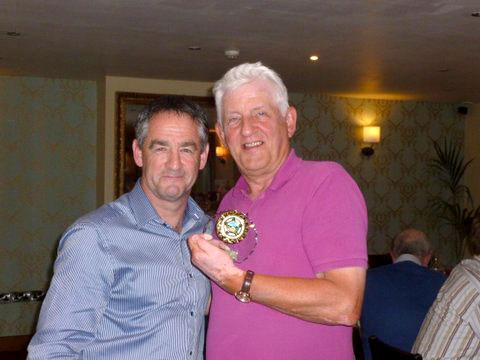 A big well done to all participants but we are delighted to highlight the success of the members – past and present- of The Potto Village Hall Management Committee who did themselves proud by winning many of the top prizes. Congratulations to all prize winners, but a special mention must be made regarding Shami Bradley who in her beautiful attire won the best dressed golfer prize. More effort required from the boys next year! One of the consequences of winning the competition is that you are obliged to organize the following year’s competition. 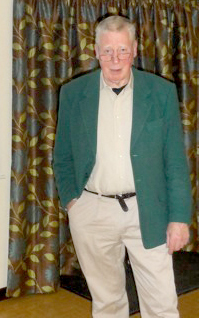 The 2015 competition will therefore be organized by that well known golf bandit and current Village Hall Chairman Phil Harper who won with an outstanding points total of 40. 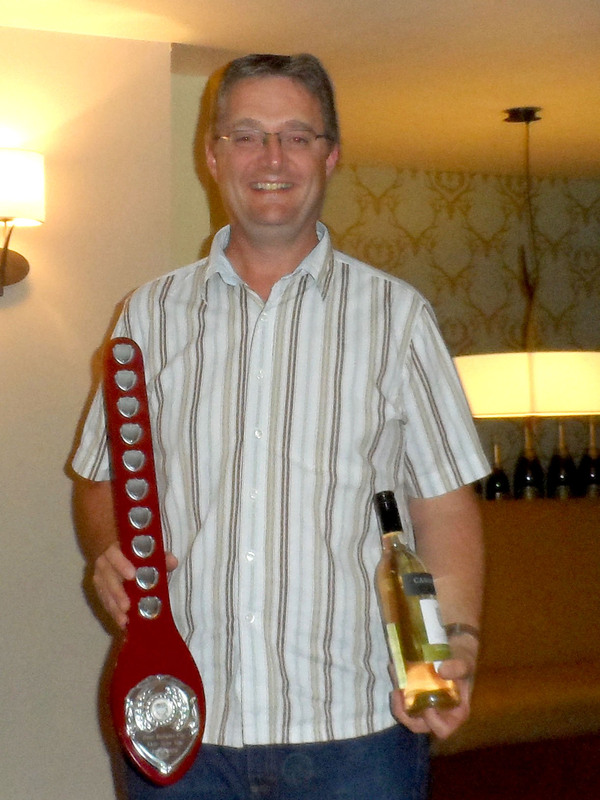 The winner & next year’s organiser with 40 pts………………………………..Phil Harper! Well, the first ever Potto Pudding Fest took place just over 4 weeks ago in the village hall on Saturday 26th October 2013. It was nice to see the event so well attended, despite clashing with the mighty Strictly Come Dancing, and that it wasn’t totally ‘desserted’ – or at least only in a good way! Over 40 people turned out to selflessly offer their pallets for the greater good. could be involved. The contest wasn’t a ladies only affair, with Phil Harper, Arthur Smart, Ian Wray and Andy Wilde looking to turn up the heat on behalf of the gents. 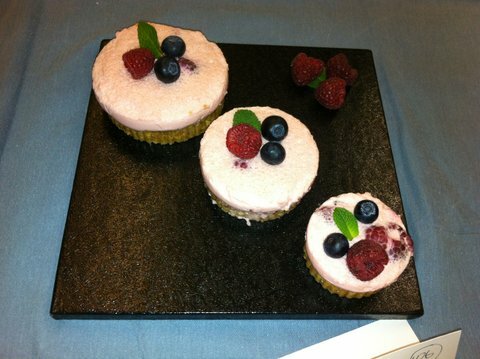 Every attendee at the Fest was allocated 3 puddings each to taste without any knowledge of who had submitted the entry. Before the tasting began all attendees were given the opportunity view the puddings in all their glory and mark them for appearance out of 10. Everybody found seats (after finding the bar first) and then were called up table by table where Julie and Cathy kindly gave up their time again to serve the puddings to everybody. They were so busy that Cathy almost lost her uneaten puddings when the tables were cleared away for the food-themed quiz and cheese and biscuits! 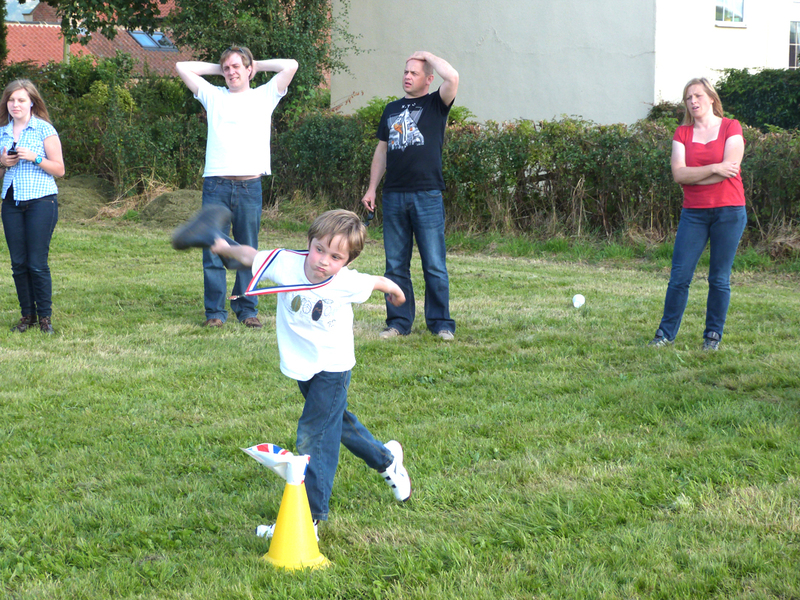 While the quiz was underway the marking took place in line with traditional sporting event practice. The single highest and lowest scores were discounted and an average of the remaining scores determined the winner of each category. The prizes for first places were a baking book and chocolates for the junior category and £15 each for the chocolate and chocolate-free adult winners. s’crumb’ after the judging had finished. In the chocolate-free class, Sylvia’s Norwegian Apple Pudding was strong contender coming in at 2nd place with a respectable 16.2 out of 20. 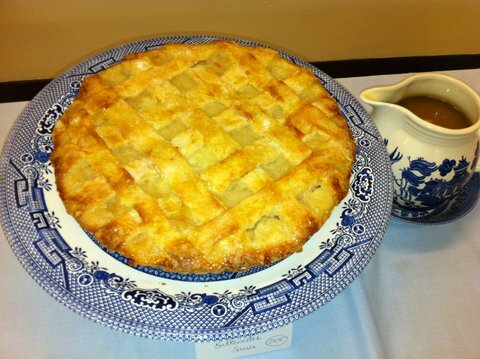 However, apple was clearly a favourite of the night and just pipping her to the post was Anne-Marie’s Apple Pie with Butterscotch Sauce with a score of 16.5. In the chocolate section Andy Wilde’s Boozy Chocolate Bombs almost took the top spot scoring 16.3 out of 20 but couldn’t blow Pam Stephany out of the water who stormed to the lead with a mighty 17.1 for her Hazelnut Meringue Roulade to take the title. Both ladies have kindly agreed that their desserts can make a highly anticipated return as part of the menu for the Potto New Year Dinner in January so if you didn’t have the opportunity to taste them at the time it isn’t too late. You’d be nutty not to! 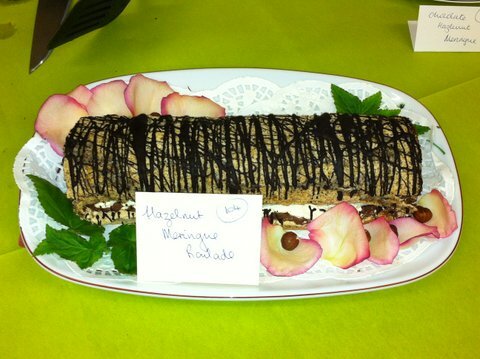 So, what do you think about whether we come up with a snappy re-torte to the 2013 winners’ dishes for next year and give them a run for their money? On Sat 19th of Jan the residents of Potto enjoyed a wonderful evening of gastronomic delight at the 2nd Annual New Year Celebration Dinner. Pam Fanthorpe spearheaded an enthusiastic team of cooks and helpers who worked extremely hard to produce a very tasty three course meal. 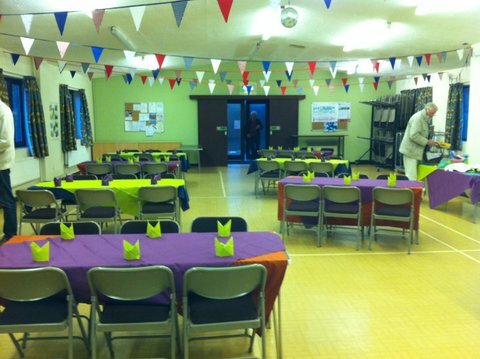 The village hall was transformed by the mood lighting , bunting and table settings. Thanks go to our chairman for his contribution regarding lights, the loan of tables etc from Tom our new landlord at the Dog and Gun and of course all the assistance from committee members and friends of the village hall. Proceedings got going with a table picture quiz compiled by our secretary Kathy whilst Carolyn Hopper and her team served us with the first course. 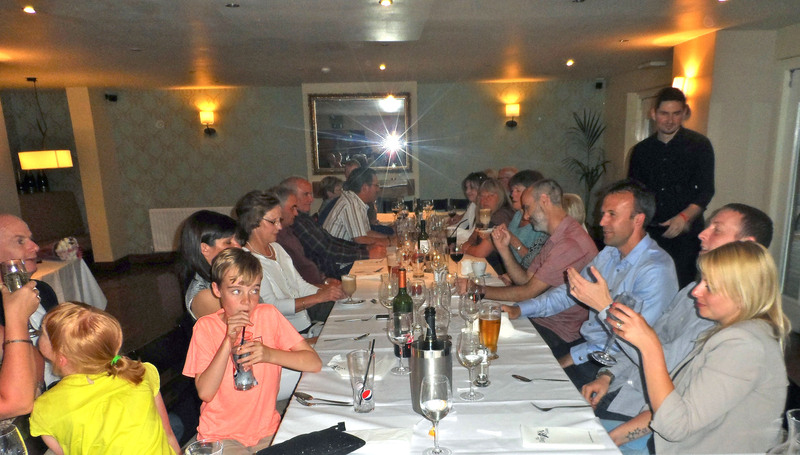 Everyone was impressed with the efficiency of the village youngsters who volunteered their services as waiters and waitresses and it would have been impossible to have such an evening without their excellent help. Guests were given a choice of braised beef in horseradish cream or chicken with lemon and walnuts followed by a selection of mouth watering desserts all rounded of with coffee and mints whilst being entertained with amusing poems and tales in wonderful Yorkshire dialect by our guest speaker Alan Weighell. The 2nd annual dinner conclude with a rousing rendition of auld lang syne ending a delightful evening. on Guatemala and the Mayan Empire. 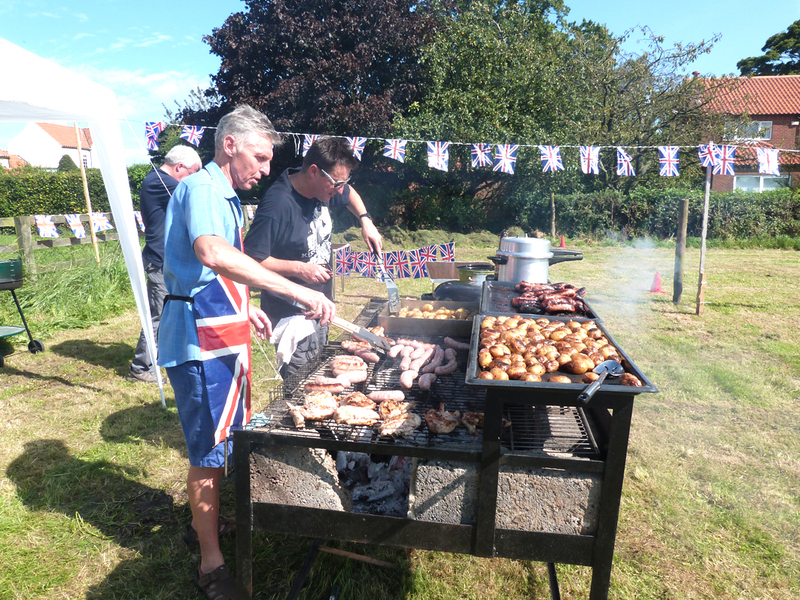 Our Potto Village Barbecue took place later in the year than usual after being postponed due to inclement weather. 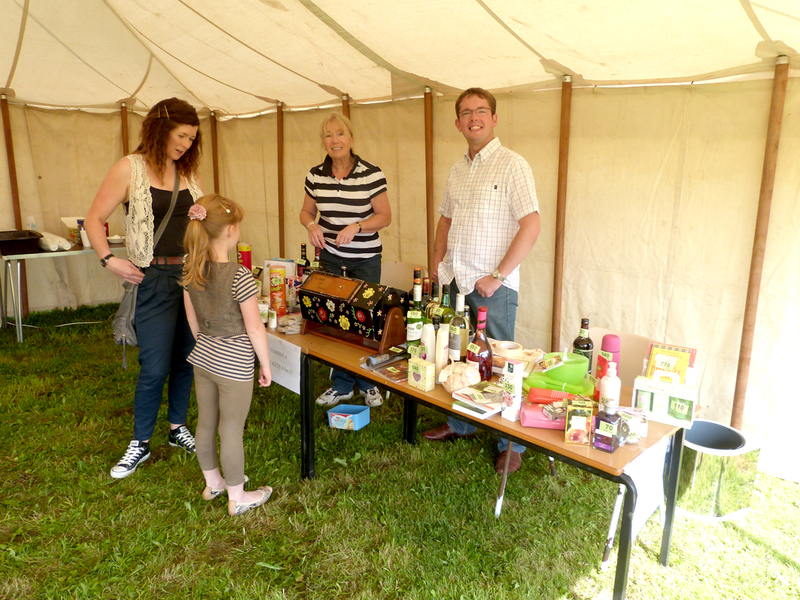 The adults and children who attended basked in beautiful sunshine whilst enjoying a fun day with excellent food and drink, entertainment and activities including foot races, football, musical talent competition, face painting and welly throwing! 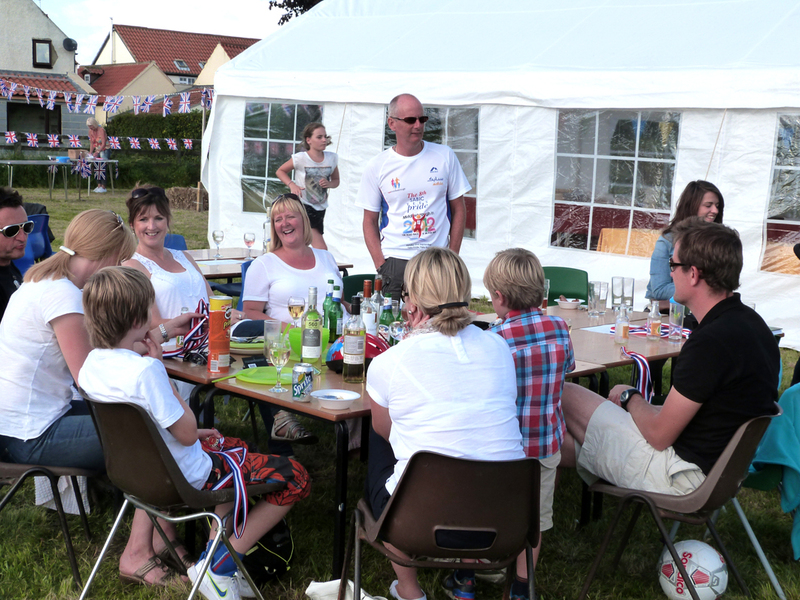 The annual barbecue has always been a highly enjoyable event over the years and we would like to thank all the people who attended and the friends of The Village Hall, without whose hard work and support The Village Hall Management Committee would have a much more difficult task. 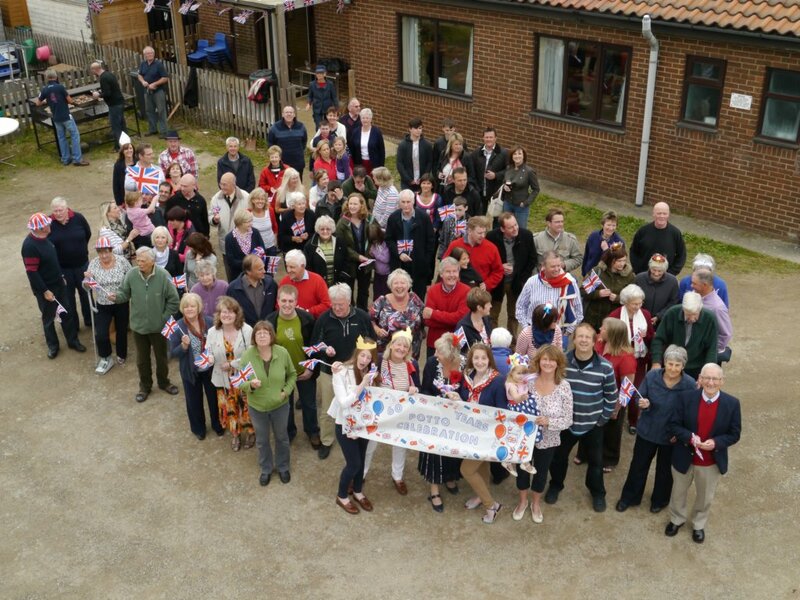 All of the residents of Potto were invited to celebrate The Queen’s Diamond Jubilee by attending a special tea party in the Village Hall. A large number of the residents turned out to celebrate enjoying the delicious cakes, buns and desserts whilst paying respects to Her Majesty.